This is a beautiful piece of designer handmade jewellery. I have used specialty glass lamp work beads by Bead Goddess Laura Sparling. 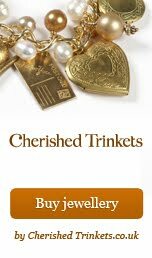 Each bead has been wonderfully handmade with accurate and precise stringer work. 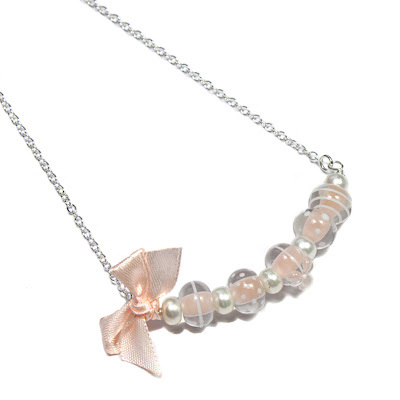 The beads are a delightful shade of light peach and are so shiny and touchable it feels like you could almost eat them! (But please don’t!). 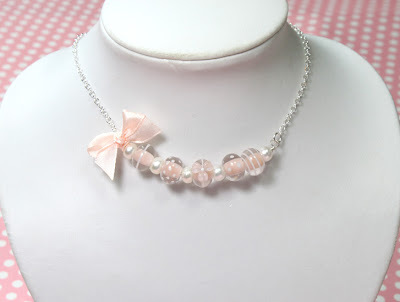 I have teamed these fabulous beads with some bright sterling silver chain, cream freshwater pearls and a luxurious peach satin bow. This beautiful handmade necklace is a real piece to treasure and is a true one off…. never to be made again I’m afraid! Necklace measures approx 16 inches, all metal parts are sterling silver.